Today (Sunday 22nd July), marks the fifith anniversary of the roll out of Operation Valken (Go Home Vans) on the streets of London. 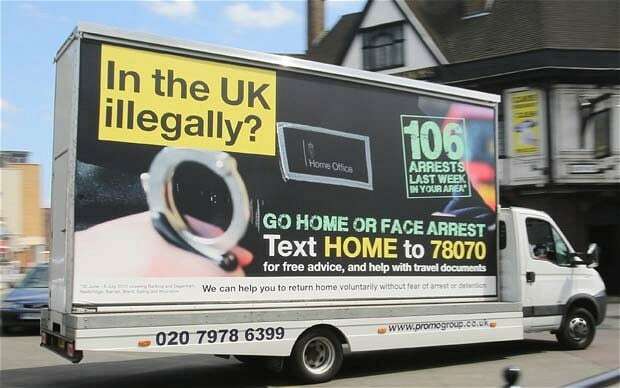 The Go Home vans have come to epitomise the ‘hostile environment’. Back then in 2013, I was CEO of RAMFEL, the organisation along with Deighton Pierce Glynn, that took head on the challenge against the Government. Today as Interim Director of the Migrants Rights Network, I reflect on what happened then, in between, and what needs to happen next. 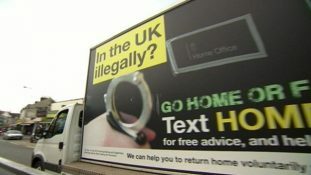 The first key point about that day, Monday 22nd July, was the incredulous and arrogant nature of a Government, that even thought that telling people to ‘Go Home’ and using a slogan that people associated with the far right, was even acceptable. Even behind the scenes, when I challenged, the then Head of Immigration Enforcement for the South-East, (now head of Strategy at MOPAC – Mayors Office for Police and Crime) his response was as dismissive as it was obtuse. In a clumsy meeting held opposite London Bridge’s Beckett House, he chided me for being overly sensitive, and in a rather cack handed manner offered funding to RAMFEL for ‘voluntary return’. I accepted nether his chiding or the financial incentive. But that was the arrogance of Government, such was the fear of the ‘other’, the need to appease the anti-immigration and the pro Brexit lobby (then as UKIP) that they genuinely believed that it was permissible to try and bully and intimidate. The second key point to remember is that there was not the ‘solidarity’ that there is now in the migrant and refugee sector. Indeed it is a memory that I recall with tremendous anger and sorrow. Not a single agency, or body spoke up against the vans until the legal challenge had been won – two weeks after they rolled out to the streets. I remember the deputy head of a national charity, ringing me as I was about to do an interview with Al Jazeera, saying that his boss was, ‘prepared to drive a counter message van when he came back off his holiday’. Oh be still my beating heart, to be saved by the privilege of a the ruling elite. What that meant for a small migrant organisation at the time, was that we took the risk, and the larger organisations took all the benefit, so national bodies with their huge PR teams and resources were able to manage counter campaigns, with no reference to the origins of the campaign, some agencies usurped (and continue) to claim the win as theirs. It is not unreasonable to ask where is my understanding of solidarity, surely a win for one is a win for all? My concern remains that this began an adverse trend in the sector around ‘power and privilege’. The eco-system of the migrant and refugee sector, has been badly damaged by a perceived inner elite group of charities, that are viewed by funders as being able to hold more sway with the public. We have obsessed for so long with the national rhetoric over migration (and look where that has got us – Brexit) that we have lost the local, which is where most migration acts out, and influences public opinion. Indeed when I asked a national funder in 2013, for a few thousand pound to invest in back filling my post whilst I dealt with the ‘Go Home’ vans, we were instantly dismissed. Not surprising seeing that the same funder was a trustee of one of the elite charities, and funded them to change the national conversation on migration, they obviously didn’t want anyone getting in the way and offering an alternative approach or ‘frame’. 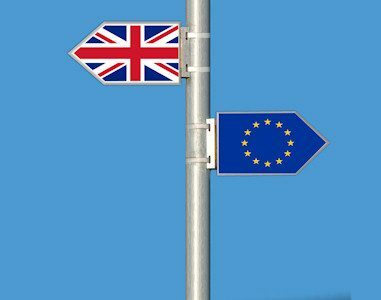 The divide and rule nature of the sector by the interplay of power and funding, means we do not congratulate each other as norm about victories, but rather we view them as much territorial fear, as a leave voter views a remainer. I will of course be forever grateful for the three people from the sector who did speak up and support during the period, one of whom was Don Flynn from the Migrants Rights Network, Sue Lukes, now the country’s first UK Councillor champion for migrants, and Alison Harvey (then of ILPA). The role of academics and research within the refugee and migrant sector has always been a difficult one to define and work with. Yet the work of Hannah Jones and colleagues (as part of the Mapping Immigration Controversies project) was hugely beneficial. Small migrant organisations do not often get the time to reflect on their own practice, but the gentle soul searching evoked by engaging in participatory research was of huge benefit in helping to re-frame the discussion. It provided me personally and professionally with the confidence to continue and persevere. In an era of evidence based policy making, it difficult to challenge the potential hostility of the immigration system before it happens. Not only did we not have the data, we didn’t have the words. The ‘hostile’ environment, despite being a publicly stated policy, and having its own department, was still seen as a marginal issue. Outside of the refugee and migrant sector, no one really used it until recently, where not only has it come to represent British Immigration Policy, here and abroad, but is has also now been used by a multitude of other ‘marginalised’ communities. More on this, in this coming week’s newsletter. The hostile environment has now been called out, shamed by both those that it so cruelly seeks to stigmatise and marginalise, as well as the Government and the public. But it took Windrush, and the fears of EU migrants in the UK to challenge this. A lot has happened in the intervening five years. Back in 2013, legal specialists like Simon Cox were patiently explaining to small groups, ‘strategic litigation’, now all groups large and small are looking for key litigation opportunities. Back then we had a media that was equally hostile to migrants (indeed as the UN rapporteur pointed out) but now we have campaigns like Stop Funding Hate that make a point of calling out ‘hate’. We have journalists prepared to take a risk on what may appear as a less attractive story. However, we also have the Lobbying Act, one of the most insidious pieces of legislation that renders the migrant sector mute in some cases, and suggests that speaking truth to power is not the role of charity. We have the good vs bad, deserving vs undeserving migrant debate constantly bopping up and down, and we have austerity that has hit black and ethnic charities and community organising hard. Underlying all of this is nagging fear by some that we should pursue a unified solidarity as a sector to speak with one voice and one aim and produce one message. 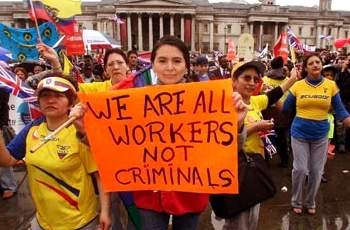 It is in our own rush to get to a ‘big win’ that we forget that the everyday win for immigration, is getting someone their papers, into a home, into employment and with enough income to survive. We need to think differently about how the sector works. It is ok to have different campaigns, different approaches and roads to the nirvana of immigration acceptance. It is ironic that whilst we accept diversity amongst those we serve and represent, as a sector we are less able to accept our own diversity of opinion and approach. From an MRN perspective, we are looking afresh at how we best prioritise our work with diminishing resources. Our focus, at least until March 2019 has been well documented. We will be focusing on local government, (and not as the enemy who doesn’t understand immigration, but as an ally equally aggrieved by immigration) protecting victims of crime, issues of data sharing, access to health care, skills and immigration, no recourse to public funds, housing and homelessness, and of course the shambolic policy black hole that is Brexit! We have a forthcoming party conference season coming up, and would welcome organisations getting in touch to get more involved in plans, we have a series of thematic newsletters capturing some of the fantastic work of agencies and practioners up and down the country, and we have a unique opportunity via the People’s Permanent Tribunal hearing in London to profile more issues of concern. More on that in this week’s newsletter and over forthcoming weeks. To make immigration less toxic, we need to make the conditions and manner in which we work both as a sector and with other agencies less toxic, otherwise we might as well all pack up and Go Home.